Neglecting our emotions and innermost thoughts for too long can lead to insecurities and negativity. If this year hasn’t been too good to you, and you’re understandably feeling a little burnt out, here is a guide to self-love and appreciation because all you deserve it. If you find yourself feeling lousy about yourself because you cannot keep up with people’s expectations of you, then perhaps it is time to define the differences between striving healthily and being a perfectionist. Perfectionism is the belief that if we live perfectly, look perfectly and act perfectly, we can avoid the pain of blame, judgment and shame. It will keep you asking yourself, “What will they think of me?” Meanwhile, healthy striving is different – it targets your growth, your emotions and personal goals. It is about chasing after something you value, instead of what people want from you. No one is perfect anyway, and this consistent pursuit to meet people’s expectations is a never-ending race. Quit that to run your own, and you’ll be happier. “Love yourself like Kanye loves Kanye” and jokes aside, Kanye is totally an emblem of #SelfLoveGoals. The rapper even has a song about himself named “I Love Kanye” and even though he may come off as an arrogant egomaniac, his compliments are not frivolous or thoughtless. We can learn a thing or two from his confidence to give our self-esteem a little boost and realise how recognising our strengths is just another form of encouragement we need when times get tough. Yes, you hear it from us: be good to yourself. Nothing beats celebrating your body and looking after it. “Honour its needs through thirty-minute runs, long showers, flossing my teeth and drinking lots of water,” are Mary Dunlop of Tiny Buddha’s top tips. Clean up your diet, ensure you are getting enough sleep and treating yourself occasionally are little things that we miss out on when our schedules get busy, and it will help you feel better about yourself. Vulnerability comes in many forms – taking responsibility for something that went wrong at work, telling your parents you love them, or acknowledging that you are worthy of love – and we often find it hard to come to terms with the reality that we are flawed. Some people translate vulnerability into rage or disconnection, but one thing you can do for yourself differently is to transform it into courage; to recognise them, slow down and seek support. “Because true belonging only happens when we present our authentic, imperfect selves to the world, our sense of belonging can never be greater than our level of self-acceptance”, Brene Brown writes in her book, Daring Greatly. Art soothes and relaxes. It could be a new canvas with some paints and brushes, a karaoke session, making music, or pottery. 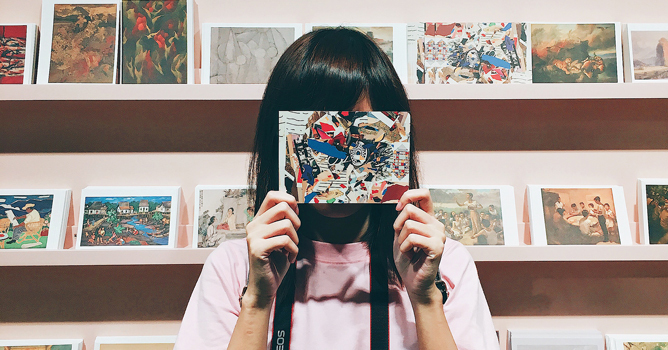 Channel your inner Picasso or Adele by picking up a new skill that allows you to explore the realm of creativity. Art is liberating, and it will allow you to express yourself in many ways. Who knows, you might discover a new talent you never knew you had! A great part of learning to be comfortable in our own skin is to enjoy some time alone. The whirlwind of life is unending, and it can get exhausting at times. Setting aside some alone time can help you learn more about yourself, organise your thoughts, and deal with your emotions calmly. The more time alone time you have, the easier it is to develop a sense of self-confidence and self-love. If all of the above is not working out, you can try changing perspectives and possessing a positive mindset. We all have our inner critic that’s unnecessarily harsh on ourselves and you need to know when to shut it up. Start by giving yourself credit for the things you do – practice positive affirmation, forgive yourself for your mistakes, look at the bigger picture and be grateful for the little things in life. Positive thinking is a step ahead of recognising your vulnerabilities, and it needs to be put to constant practice. Make a conscious effort and it will impact your life greatly. If you feel guilt, it is good. Guilt allows us to change the things we do and the decisions we make. It occurs when we compare something we have done, or failed to do, with our values. Guilt is: if you made a mistake that really hurts someone’s feelings, you will say “I made a mistake, I am sorry.” It is different from shame where it makes you go, “I am sorry I am the mistake.” Knowing the distinction is important because there is a difference in who we are and what we did. It provides a more positive outlook on life because we can change what we do. How do you pick up the skill of feeling good in your own skin? Let us know in the comments section! First off, the facts: one in five young people may be suffering from a mental illness, while the number of teenagers who have called a suicide hotline has doubled in recent years. 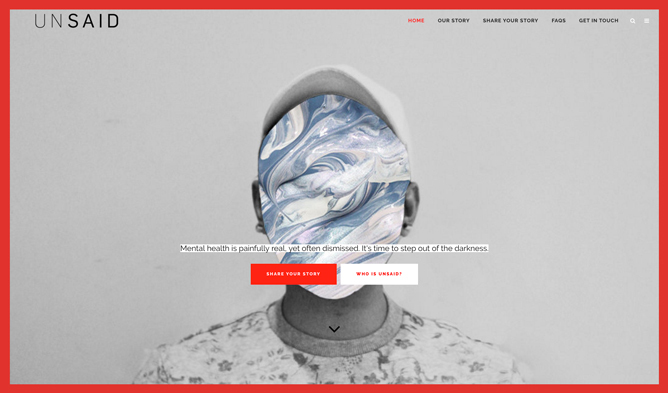 Yet despite the alarming increase in today’s youths experiencing such pressing concerns, there’s still a lack of discussion surrounding the topic of mental wellness. In light of World Mental Health Day on 10 October, we hope to break the stigma of mental health – starting with you. Ahead, we share the stories of these inspiring millennials who braved the odds and emerged stronger than ever. “I always wished that I could be like other people. I tend to compare, especially with my friends who have been working a few years at the same job. I can’t even stay at one myself for so long. You were a person who constantly strived to be perfect. Failure wasn’t an option because there was only perfection. You just got out of a relationship, you’re not doing well in school, and your family was a mess. Sinking into a dark hole where your mind ran wild with negative thoughts, you thought about how you could end your life. Having been in and out of counselling, you always knew there was help out there but you just weren’t rational enough to take the first step. One fine day, you were walking home and a neighbour asked you how your day was. That changed everything. You’re getting the help you needed and I’m proud of you. You know you can’t be perfect, but you know you can be you. “Growing up, I’ve heard my fair share of offhanded comments people make about ‘being OCD’. They laugh at it like it’s no big deal, but what they don’t know is that it’s more than just a penchant for cleanliness. Being diagnosed with Obsessive Compulsive Disorder (OCD) since I was 13, I was neither the person who would wash their hands till it’s scrubbed red and raw; nor would I check the door exactly seven times before leaving the house. OCD creeps up on people in different ways, and for me: it’s walking on the streets as I fight the urge to turn back home and check whether the toilet lid is shut; it’s waking up in the middle of the night, heart pounding as images keep replaying over and over again in my head; it’s deluding myself into thinking that I am a horrible person and I will never get better. “It’s been years since my first encounter with a psychiatrist, and so many things have changed. While I still have low days, I’ve learned to address my emotions and come out stronger. I am not confined by my illness, nor am I defined by it. Rather, I am in a period of growth, just like everyone else. As I write this, I want to express my thoughts about mental health. Major Depression is a nasty illness and I wish no one has to go through it. My doctors tell me that while it is a very real illness, I can get well with their help. I’m on my way to getting better now that I have the support I need. I remind myself that relapses are not the end of the world. This year, I started a project named REdisCOVER with my friends who are also conquering mental health issues. It’s a taboo topic in our society, but we hope to spark conversations about it so others in similar shoes won’t feel alone. I really hope other people facing the same challenges will find the strength to seek help, because they are deserving of all the love they can get. Have a story to share? Here are three youth platforms where you can speak your mind and be heard. 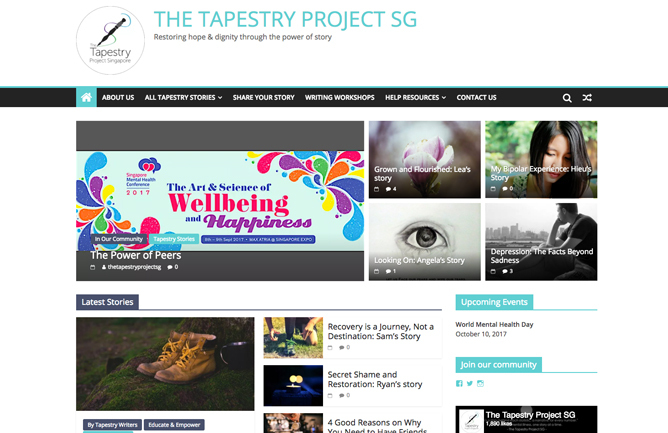 A student-led collective started by Timothy Seet and friends, UNSAID runs in a similar vein to The Tapestry Project – encouraging dialogue via the power of storytelling. Instead of restricting themselves to one singular theme, the UNSAID team aims to tackle a different issue every year, with mental health being the core focus for the whole of 2017. 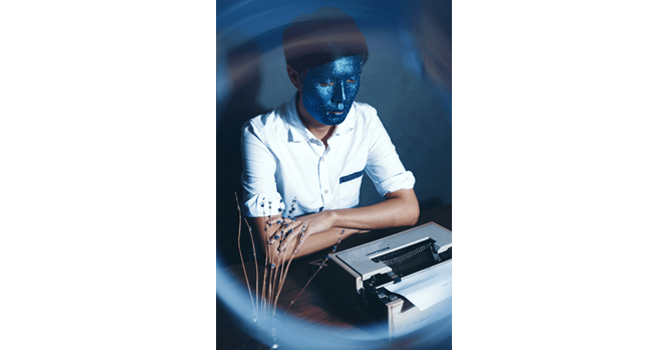 Beyond words, they also seek to raise awareness through a series of original plays such as How To Be Happy and How Did I Mess Up This Bad: An Analysis. 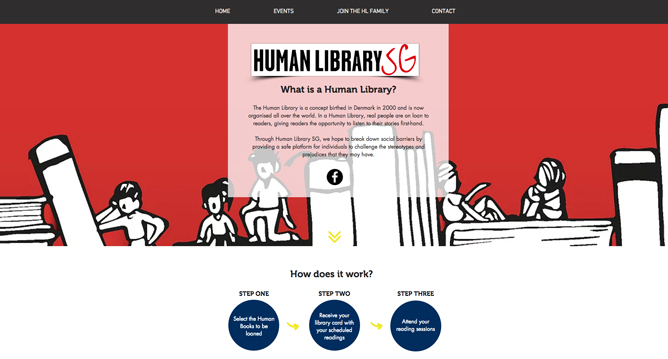 First launched in Denmark back in 2000, the concept of a Human Library has since gained traction around the world, with Singapore jumping onto the bandwagon. The idea is ingenious: readers will be able to ‘loan’ a Human Book, in which real people share their stories in an intimate reading session. 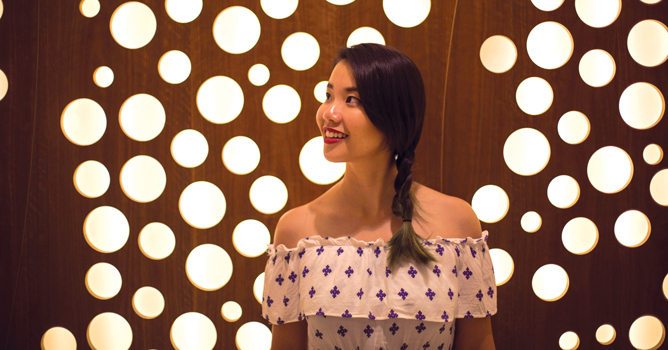 Recently, PsychKick co-founder Shafiqah came onboard to share her experience battling depression and suicide. 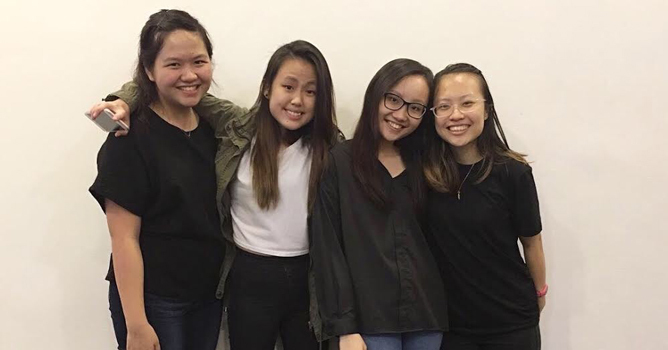 Through this initiative, Human Library SG hopes to challenge the stereotypes surrounding mental health and other issues. If you are thinking about suicide or know someone with suicidal thoughts, please call Samaritans of Singapore at 1800-221 4444 (24-hour hotline), or email them at [email protected]. 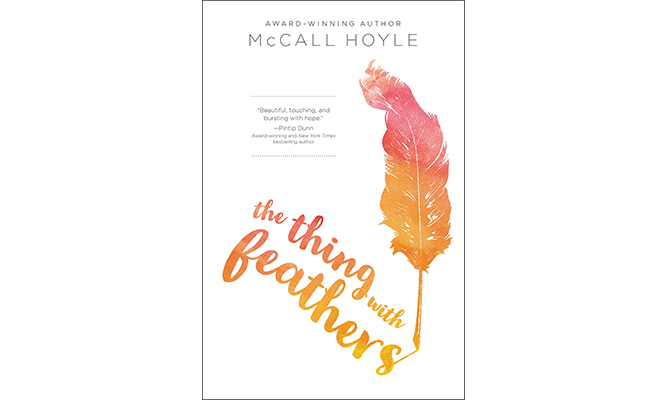 More than sappy love stories or superficial plots, Young Adult novels have an uncanny ability to touch on difficult topics and relate to youths on a deeper level. For those who are battling with mental health or for the ones who have loved ones and close friends who are facing personal struggles, here are six young adult reads that will not only serve to help readers understand, but are also changing the conversation about mental health, one page at a time. 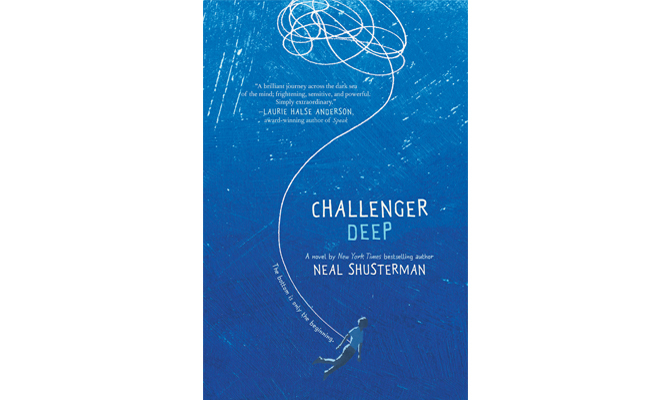 Why it’s important: An unflinchingly honest portrayal of those dealing with schizophrenia, Challenger Deep draws from Neal Shusterman’s experience with the illness through his son’s personal battle. Illustrations penned by his son are peppered throughout the book, allowing readers to gain a deeper understanding of schizophrenia. 16-year-old Aysel is obsessed with planning her own death. After all, she has nothing to live for: her father’s guilty of murder, her mother can’t even look at her without wincing, and she’s alienated by her schoolmates because of her dad. 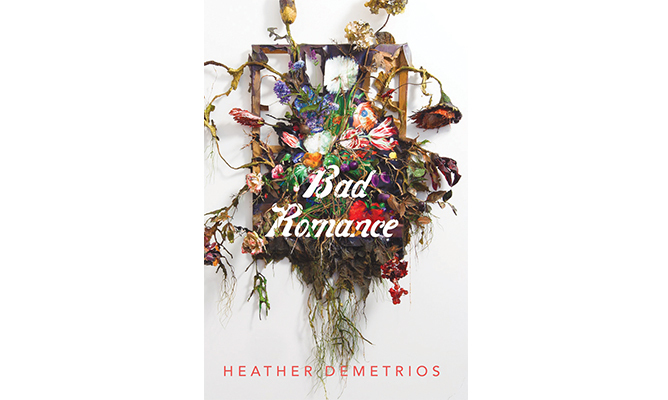 Unsure if she can go through with suicide alone, she turns to Suicide Partners where she meets Roman, a teenage boy haunted by his own family tragedy. As they begin to fill each other’s broken lives, Aysel starts to reconsider their suicide pact – but can she save Roman when he’s so determined to die? Why it’s important: The very definition of never judging a book by its cover, this novel demonstrates how someone could still be depressed despite a smiling facade. And perhaps the most important message Jasmine Warga strives to drive home? That there’s always a way to escape the arduous tunnel of sadness. 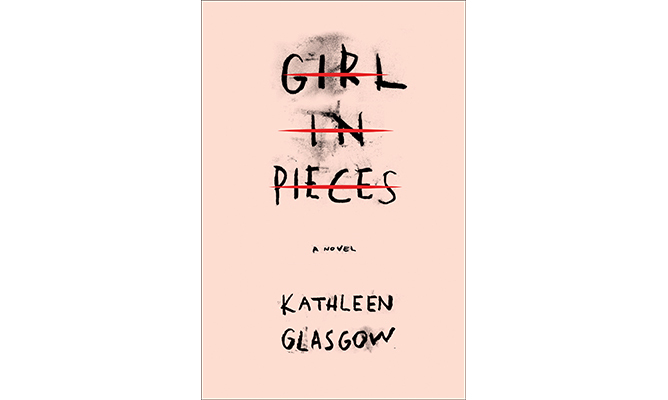 With an abusive stepfather and an obsessive-compulsive mother, Grace wants nothing more than to get out of her house. 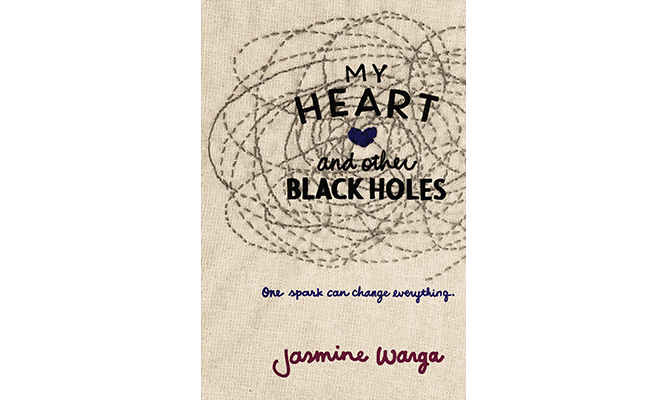 When she falls in love with the charismatic Gavin, she believes she has found a new home with him. That is until he turns controlling and possessive, demanding that she give up her friends and threatening suicide if they ever break up. Caught between a rock and a very hard place, Grace will have to figure out a way to escape a ‘prison’ she never thought she’d get stuck in. Why it’s important: It’s easy to judge someone for staying in an abusive relationship, but as this book deftly illustrates, red flags are never easy to notice when they’re wrapped under the guise of toxic manipulation. 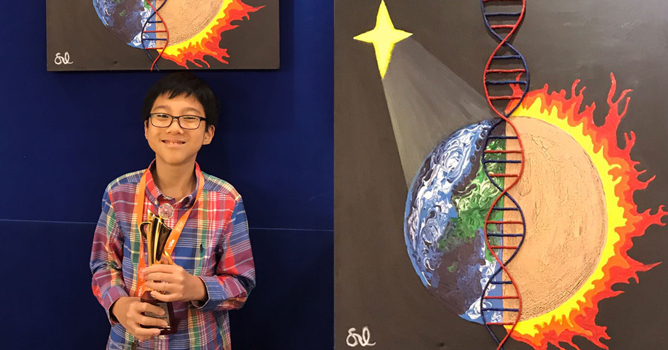 Why it’s important: Although primarily dealing with the effects of epilepsy, this coming-of-age tale also delves into how physical health issues can affect your mental state. At the end of it all, it shows readers that having an ‘invisible’ disability shouldn’t hinder them from doing what they want to. Struggling with agoraphobia – a anxiety disorder that causes her to shun the outside world – Norah hasn’t stepped out of her house since experiencing a severe anxiety attack in school four years ago. She gets by just fine within the safe confines of her home, but her solitude is upended when she notices the new boy-next-door, Luke. Instead of defining Norah by her medical condition, he sees her as brave, smart and funny. But as they grow closer, Norah realises Luke deserves someone better – and it shouldn’t be her. Why it’s important: For someone dealing with mental health issues, even the seemingly easiest of tasks can seem like a mountain for them to conquer. 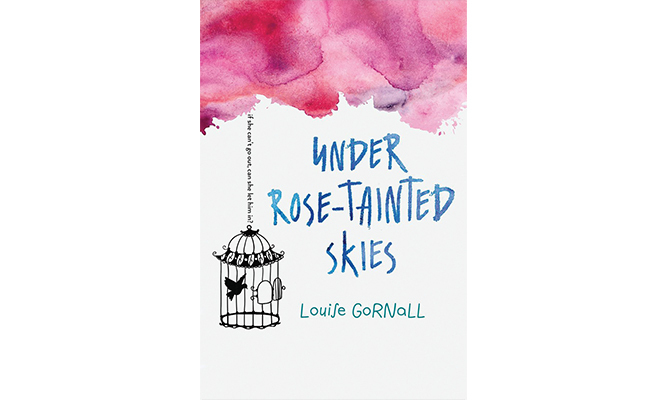 Written in a refreshing first-person narrative, Louise Gornall paints a realistic image of a teenager struggling to face her own demons. Charlotte may only be 17, but she’s gone through more than what most people have in their lifetime – her father drowned himself, her abusive mother kicked her out of her home and her best friend’s lying in hospital brain-dead. She then finds an unhealthy way to deal: she cuts, with each new scar washing away the pain until she feels nothing. Despite spending time in treatment, she soon finds herself spiraling down the rabbit hole once again. Why it’s important: With self-harm one of mental health’s prevalent issues, this evocative story serves as a wake-up call for today’s generation. It details how young lives can become so derailed that they turn to “writing their pain on their bodies”, and the effort needed for those suffering to pick themselves back up. We’re always on the lookout for good reads, so share your favourite books with us in the comment section! Too much on your plate with not enough time to do ’em all? We get it. And if seeking out methods to increase your productivity and efficiency yields no results, how about looking at the ways you’re spending your time (or wasting it)? Here are a few ways you could be doing so. Couch potatoes, here’s reality coming in like a wrecking ball. Binge-watching watching TV dramas (Netflix included) is truly a luxury when pressed for time. At the very least, you’d be spending over seven hours a week (if you stick strictly to a one hour episode each day) – time you could spend working on something else. Chatting with your friends every five to 10 minutes when you’re supposed to be doing revision, stalking people on Instagram instead of paying attention in class, Snapchatting your every move when you’re supposed to be rushing a project… You aren’t the first to get sucked into the endless vortex that is social media, and you won’t be the last. If you find yourself spending copious amounts of time on social media and leaving none for serious work, it’s high time to put away your gadgets and focus. Talking about your overloaded situation serves as a good outlet for pent up frustrations and it’s a process that shouldn’t be skipped. But to be honest, if all you’re doing is complaining to your friends (and not actually working on what you can), it doesn’t actually solve anything nor reduce your pile of work. The next time a rant session is in order, try allocating a timeframe to talk about it to your heart’s content. – when time is up, back to work you go! Also, remember to give yourself mini breaks in-between so as not to get overwhelmed. Sounding out your questions during class may be daunting for some, but it’s important to get any queries out of the way. For example, whether it’s clearing doubts about project guidelines or gaining a clear understanding of the syllabus taught in class, you won’t have to waste time trying to figure ’em out later on your own, especially when you’re pressed for time. Everyone gets messy from time to time but if you find yourself frequently searching for your notes, stationary, homework, etc., you have to change this time-wasting situation around ASAP. Poor organisation means you’re spending precious time foraging for the basics you need, leaving lesser time to get proper work done. Clean up your desk, implement a proper organisation/filing system and you’ll be way more productive in the long run. The lack of sleep is one of the top causes for low productivity levels. Plan your day well and schedule for most of the work to be done before sunset. Burning the midnight oil or pulling all-nighters won’t do you any good in the morning. Furthermore, you will burn out easily and your productivity levels will hit a plateau. Instead, stretch the hours you have in the day to complete your work, and leave the night for your rest. Nobody likes making mistakes, but don’t let your fear stop you from being productive. For example, you could be worrying about perfecting your project, but not starting quickly (and not meeting submission deadlines as a result) will end up negatively affecting your results anyway; worrying, over-thinking and pointlessly mulling over things you have zero control over is a waste of time – quell your fears and just start doing. If you find yourself biting off more than you can chew, it may be time to take a step back. List what you have on your hands currently and learn to say no. It is never wrong to reject certain meet-ups if you are tight on time, nor do you really need to volunteer to be on every project – scrambling to keep up impedes your progress and eventually dilutes the quality of your work. Learn to discern what is really worth your time and you’ll be better for it. Let us know in the comment section if we missed out anything that you think is a waste of time! We are here with a list of life-changing study apps that are not only student-friendly, but will help you increase your productivity by tenfold. Fell asleep in class, or in need of an intensive revision session? 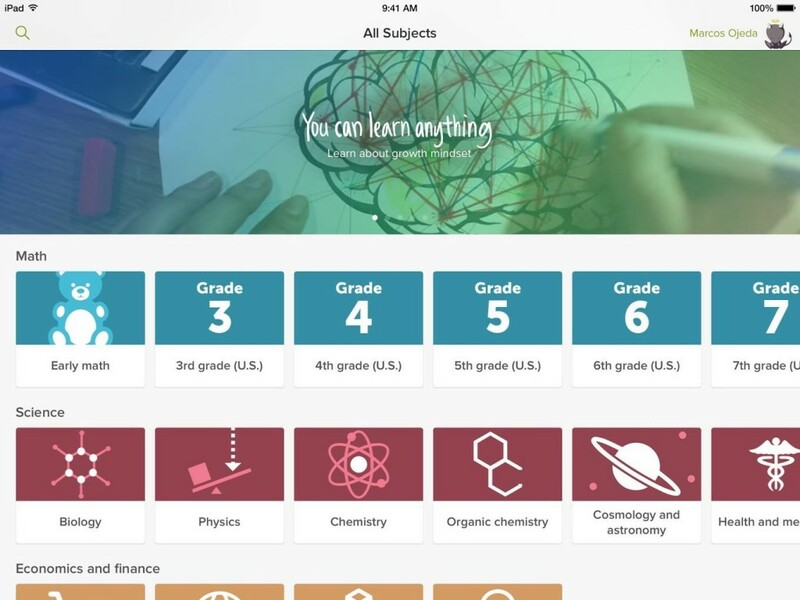 Khan Academy is your answer. 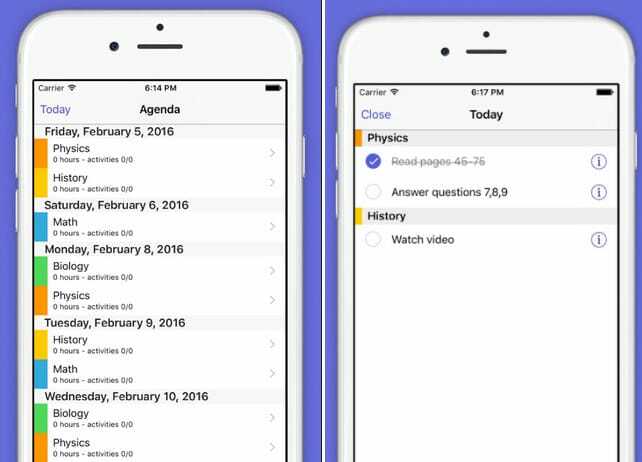 It is filled with in-app videos, assignments and articles to help you catch up with any topic you missed out on. The explanations are concise and they have helped many students tide over difficult, hair-tugging moments with the exercises that come after the lessons. They offer a wide range of subjects and the topics, so you have no reason to procrastinate the next time you have to work on your least favourite subject. Moreover, you can download the videos beforehand to waste less buffer time and leave more time to be productive. Hit by the sudden realisation that when you are trying to study, your phone is the greatest evil of them all? 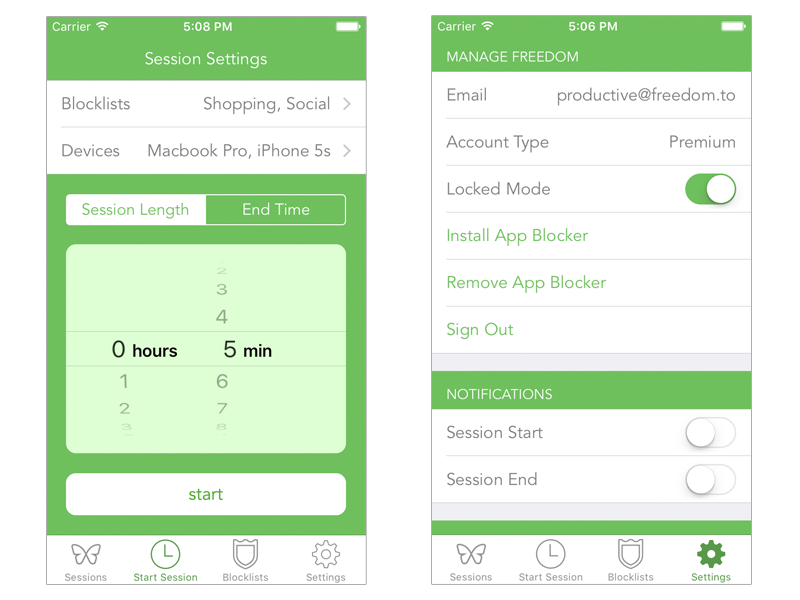 Freedom helps you do more than putting your phone on Do-not-disturb mode. The app blocks content for both websites and apps or the entire Internet (if you want to), helping you stay focused on task and avoid being a victim of (notification) distractions we are all guilty of. Forget having to furiously google words you don’t quite understand – apart from 375,000 words and definitions and 300,000 synonyms and antonyms, this handy app also has a voice search function. 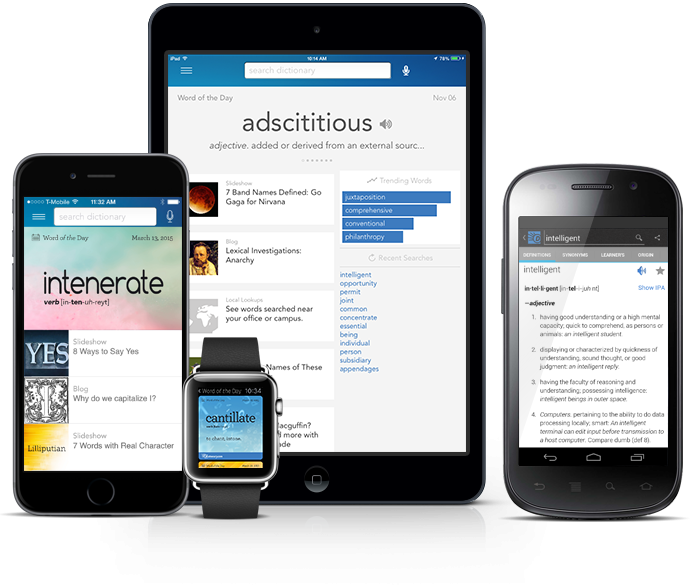 Additional features include Word of the Day, example sentences and many interesting articles about the English Language in-app. 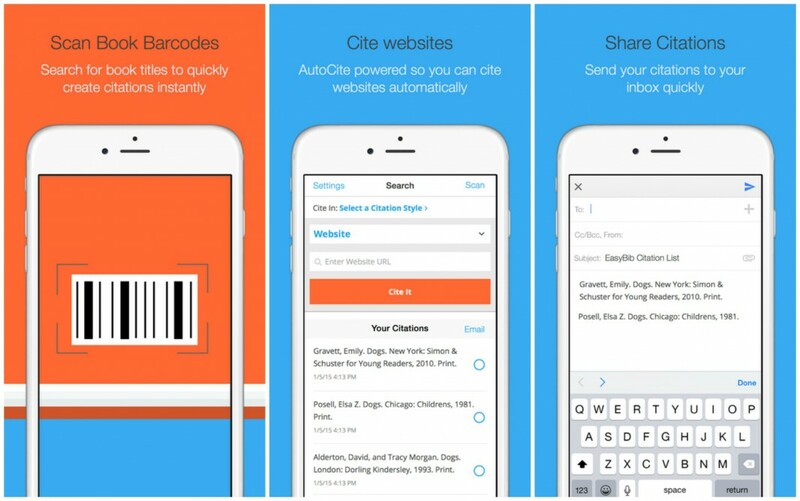 Need an organisational app that offers flexible customisation of your daily to-dos? Wunderlist will do it for you. Not only are you able to easily add tasks and set deadlines to existing lists, you’ll also be able to set reminders to nudge you into getting your tasks done throughout the week. The best part? 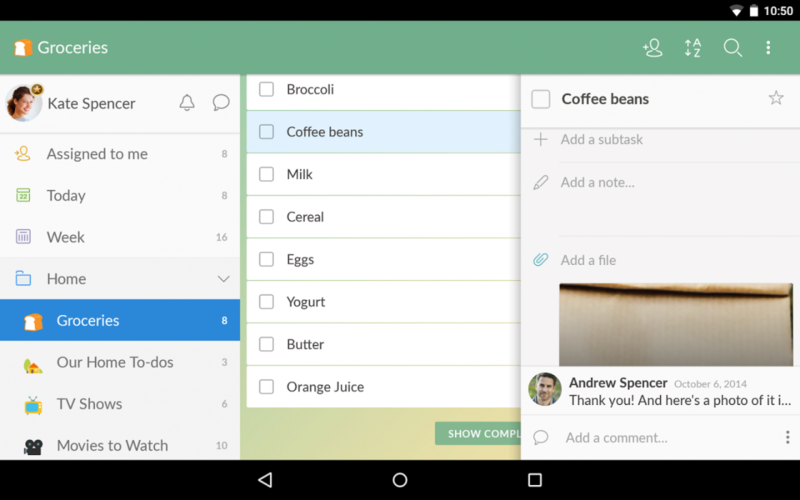 You can add files, sub-tasks and share your study plans with study buddies to achieve optimum productivity. Nothing beats the satisfaction from ticking the tasks off the list together. A bibliography generator, targeted for y’all out there who constantly fret over the long list of bibliography you have to churn out for project work – Easybib generates citations in MLA, APA, Chicago and a ton of different styles, where you can definitely find one that suits your needs. Simply paste in your website link, or fill in the necessary details from your reference books and you can get your citations in seconds. In three easy steps – enter the subjects you will study, how many subjects you want to study each day of the week, then confirm if the plan works for you – and you have a study guide that will help you manage your ever-piling workload. There are notifications about subjects you have to study and a summary of your day, providing information of your progress. If physically penning down your notes or tapping out quick comments on your smart device doesn’t cut it for you, check out Notability. 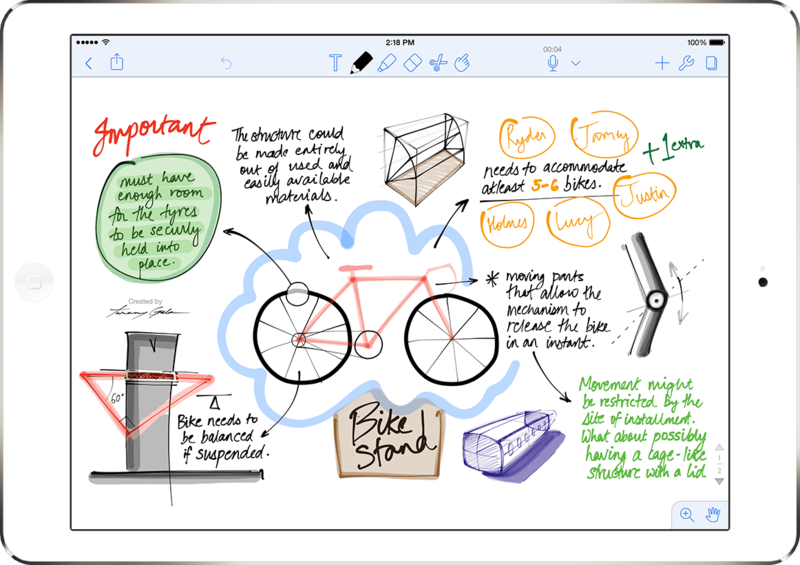 This all-in-one app allows for extremely effective levels of note-taking, from allowing users to type, handwrite, sketch and even audio-record their notes – upon which you can choose to attach your ‘note’ to any section of the document. Plus, you’ll also be able to add photos, files and screenshots to form thoroughly comprehensive notes that’ll have you more than prepared for any exam. 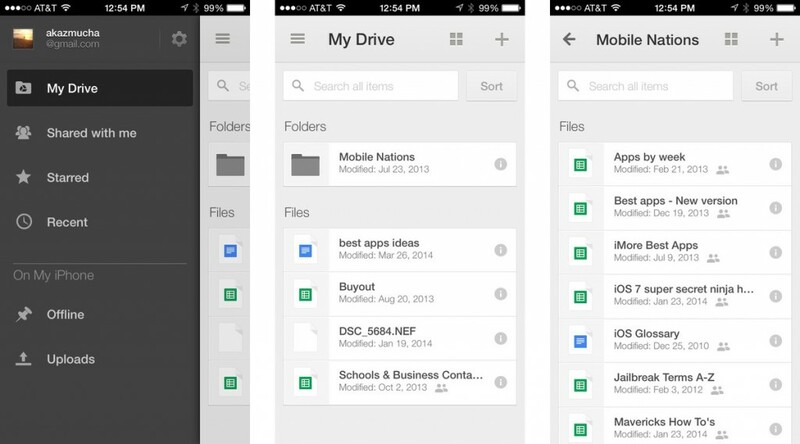 If Notability is too costly, Google Drive is a useful alternative that allows you to create and share documents with your study buddies and work on them simultaneously, which’ll make collaborating on project work a breeze. You can draw diagrams, create spreadsheets, and build presentations all in one cloud, throwing away the hassle of organising individual notes and documents. Know of any more study apps that we left out? Leave it in the comment section!